In 2016, the building sold to the Olayan Group and Chelsfield for an eye-opening $1.4 billion. Their subsequent renovation plan, led by Snøhetta, has elicited passionate protests from preservationists who do not want to see changes to the building’s impressive arched entryway. Given today’s vote, the developers’ $300 million renovation will have to face a whole new set of hurdles and approvals. During a nearly two-hour public hearing last month, preservationists, architects, and community groups testified in front of the LPC in support of designating the postmodern skyscraper as an individual landmark. 550 Madison has stood out for its pink-gray granite facade, arched entryway, and Chippendale-inspired crown. Nearly every testimony at the June hearing touched on the importance of the structure as a turning point in the history of 20th-century architecture, although many admitted the building has its flaws. 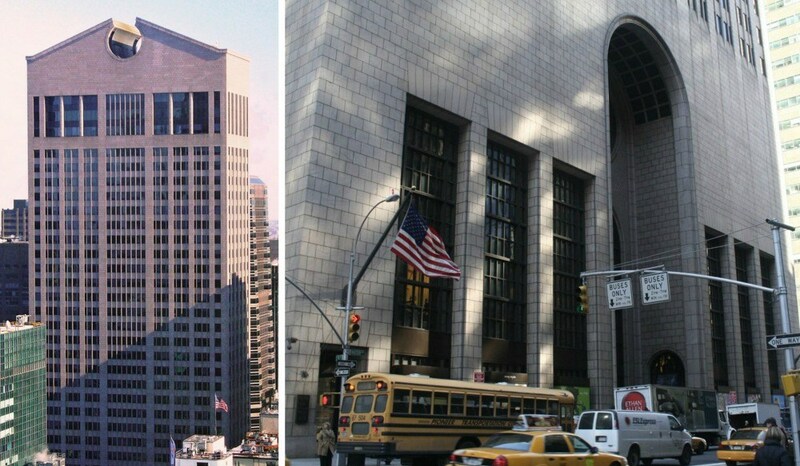 Shortly after Sony started leasing the building from AT&T in 1991, the original public space designed by Johnson was significantly altered: The arcades on the Madison Avenue entrance were converted into retail space, and the covered pedestrian space at the back of the tower was enclosed at both ends. The tower became eligible for landmark status in 2014–30 years after it was completed–but the frenzy to landmark didn’t happen until Snøhetta’s renovation plans were released. The firm’s design calls for modernizing the lower levels of the building and adding a 21,000-square-foot public garden. According to Olayan America, the tower’s famous Chippendale top would be preserved. 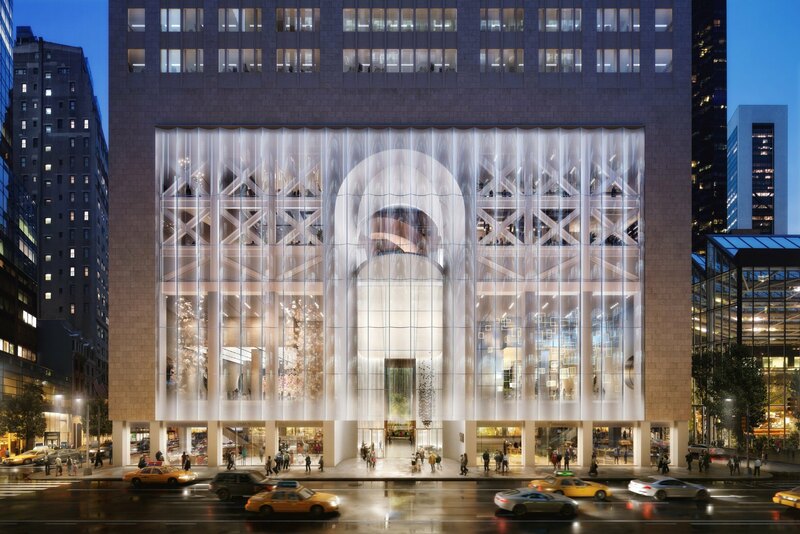 The building’s stone facade would then be partially replaced at eye level with an undulating glass curtain wall in order to highlight the building’s arched entryway. The new owners have argued that the plans will only enhance Johnson’s 1980 postmodern design. But preservationists disagreed, holding a protest against replacing the building’s base with a scalloped glass front, complete with signs that read “Hands off my Johnson,” and “Save the Stone.” Architect Robert A.M. Stern even joined the voices of opposition. After a Change.org petition circulated to ask that the Landmarks Preservation Commission officially designate it a city landmark, a vote was calendared.